All these years we have not been suffering inflation we have been suffering corporate GREED. Now I get confused when it comes to inflation and money but switch the money for the time it takes to earn an item and it all gets clearer. The maths is only approximated but you get the idea. 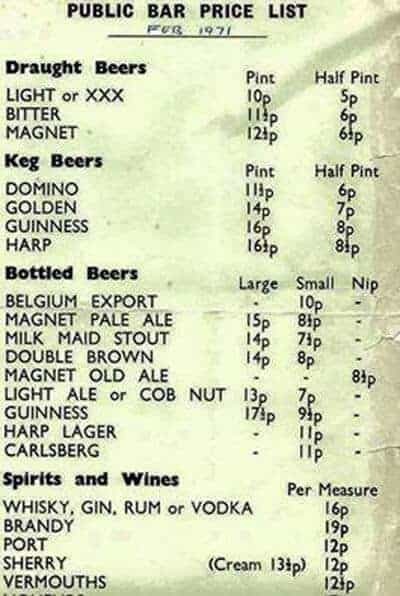 In 1971 the average wage was £3.12 an hour so 1 pint = 2 mins work. Modern pint average £3.10 about 25 mins work. Greedy corporate buggers that £3.10 should be about 23p had things REALLY gone up in line.